The Agra branch in Maltahöhe will be reopening this Friday, 20 April, for clients after several renovations and improvements have been made. “To thank customers for their continued support during the construction phase, outstanding discount prices will be offered on a wide variety of products from 19 to 29 April, apart from Agra’s regular month-end specials,” said Elvira Hattingh, Agra’s Public Relations Officer. However, the branch’s official opening will only take place in May, when several stakeholders, businesses and politicians will be invited to a glamorous relaunch, Agra promised. 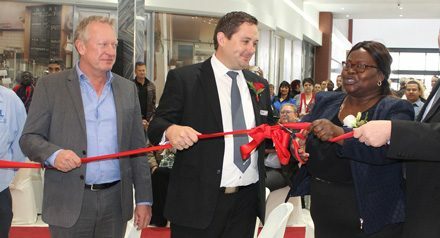 According to Hattingh, the upgraded branch now boasts more shelves, more storage space and a larger range of stock items. Additional water coolers and air conditioners as well as a bigger parking area, all form part of the upgraded store. Additionally, the branch now offers perishable products for sale specifically for surrounding guest farms and houses. Agra Maltahöhe will also provide a delivery service to customers. 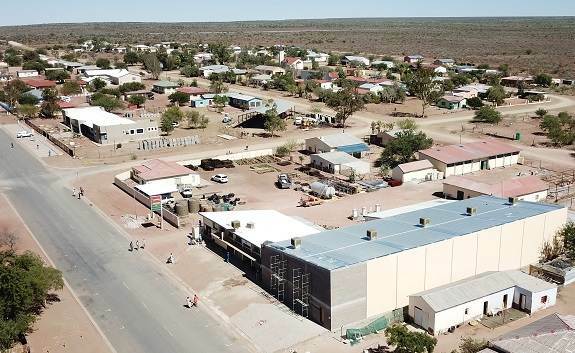 “Agra aims to expand its retail services to communities in southern Namibia. 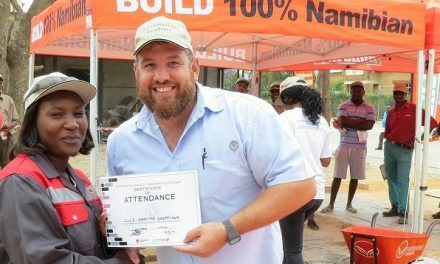 This improvement and expansion of the branch was driven by emerging business opportunities as well as greater needs of the southern community,” said Hattingh. Caption: Impressive: The upgraded Agra branch in Maltahöhe’s main road will be opening its doors for clients this Friday 20 April, while a glamorous relaunch will be held in May.